Many people want to know how I acted as a child. They automatically assume my mother was a saint. Not so. Well, she was a saint, but I was also a very good kid. Chalk that up to being first-born, I suppose. I was the peace keeper. I grew up in the country (Blairsville, PA) next to a working farm. We were rural folks. I loved to sing, dance, and act up from an early age. My parents didn’t necessarily know what to do with that. It’s not like they took me to classes and encouraged me to ‘foster’ my gifts. I don’t blame them. Life was different back then. But, when I was in 8th grade, something would happen that would rock my world. A distant cousin had the lead in our high school musical production of “L’il Abner”. I had never seen live theatre. It ruined me forever. As I walked out of the auditorium that night, I knew that’s what I wanted to do. When I went to college, I wanted to major in theatre, but did I mention that I grew up in the country near a working farm? So, I majored in business; a subject I didn’t like and wasn’t good at doing. However, it was ‘practical’. I hate that word. I minored in theatre. I also sang with a group called “The I-Uppers”. We were touring ‘goodwill ambassadors for the university. We also happened to be pretty good. That’s where I met my wife, Debbie. The second question most people want to know is “What is your wife like?” I suppose that people only see one side of me on the stage and think that’s the way I act all the time. Nonsense! (Well, don’t take a straw poll on that.) What first attracted me to Debbie was her voice; silky smooth, but she could also deliver with power and sass. She was also a very good dancer! We did a dance marathon together and one of our favorite things to do was to go ‘square dancing’. Did I mention that I grew up in the country near a working farm? And, we would close down the local disco club, “The Omni” on Saturday nights. Oh, Donna Summer and “Last Dance”…. Besides that, I would say we were very similar to most married couples: polar opposites! We dated for ten years before we got married. That’s another chapter. I financed my college tuition through an ROTC scholarship. So, when I graduated I went into the Army. So far, you can see this is not a recommended career path for stage and screen stardom. However, I was in the military during the Reagan years (1980-1988) and the Army was trying to ‘redesign’ its image. They resurrected the old “USO” show and I was fortunate enough to be selected to tour with that very first group of entertainers and musicians that went around the country promoting the new Army! It was a wonderful experience that gave me an awesome opportunity to learn more about the stage. In addition, I landed back at Fort Lee, VA, during my second tour of duty and was blessed to be a part of one of the best community theatre programs in the military. There, I had leads in “Joseph and the Amazing Technicolor Dreamcoat”, “Grease”, “King and I”, “I Do! I Do!” and other productions. Oddly enough, I cut my teeth in the theatre while I was in the Army. Then, in 1988, while stationed at Fort Lee, I met the Holy Spirit. If you’re military, you might understand what a miracle that was! I was 30. As I considered spiritual things and future ministry, I felt like what I would do had to encompass where I had been and what I had experienced in my life. Working with a small band of theatre folks from the local playhouse, I put together a little play of musical vignettes set in a ‘heaven’s courtroom’ and called it “I Witness”. We toured some local churches. Despite the weak script and lack of preparation and rehearsal, it was a powerful ministry. None of us could deny the impact of our little production. But, people had lives and stories and the current of life was too strong to keep us in one place very long. But, God spoke to me out of that burning bush and made it clear that this was the way I would go in life. So, in May 1988, I resigned my commission and started “Salt and Light Ministries”. The mission would be “to encourage the body of believers by bringing the Word of God to life.” To the glory of God, that is still our mission today. I started with little touring productions and monologues. A gal named Tina helped us with our ‘bookings’. She was a saint for hanging in there with us. Debbie and I recorded a couple of albums and we started singing at events. When I could, I would add the drama and storytelling. We developed a little Christmas production called “Joy in the Journey” based on the love story of Mary and Joseph. We booked ourselves with that through Advent. We performed that play in an Assembly of God church called “Cornerstone”, which wasn’t far from where we lived. A lady that Debbie worked with had seen it and talked her new pastor into letting us bring our ‘show’ to their church. The pastor’s name was Wayne Mancari. Sometimes, people come into your life that completely and totally transform and shape you into God’s purposes for your life. Wayne was that person in our lives. Eventually, we began attending Cornerstone Church in Chester, VA, and they would support our ministry for the next twenty-plus years. It was vital and life-giving that our ministry was planted in a local church. Cornerstone was a small church, but Wayne pulled me on part-time staff as the Director of Creative Arts. That’s the kind of vision he had for the church. During those four years, I got an MA in Communication from Regent University in VA Beach, VA, with an emphasis in Script and Screenwriting. It was good training. Meanwhile, we continued to build a repertoire and travel with the ministry. Then, two things happened that would set the course for the next ten years of ministry. While working at Cornerstone, a 12-year old asked me to help him find something for a talent show. His name was Josh. He wasn’t a singer, dancer, or actor. I was a little at a loss. But, when we prayed for direction, God impressed on me the idea of a ‘peacock’; a bird that wasn’t beautiful until it opened up its tail feathers. I know, right? So, I gave it a literal interpretation and put a couple of dowel rod sticks in Josh’s hands and we set about to use the ‘sticks’ to interpret a song called “Arise My Love”. Do you remember the story of Moses and the burning bush in Exodus 3? God asked Moses what he had in his hand. It was a rod or stick. God told Moses to throw that stick down and it became something else (a snake…ugh!). God told me to pick those sticks up that day and they became something completely different in my hands. When we had finished our session and I had choreographed the song, I had no idea how God would take that simple idea and use it around the world. Josh won the talent show. Then, I taught a group of people at a conference how to do ‘sticks’ and eventually, it became it’s own art form. Well, there were several things that happened along the way, but today the “God Rods” are the most significant ministry idea God has even given me to share with the world. Our ‘niche’ in global ministry is equipping ministry movement teams with God Rods and other props to interpret lyrics to contemporary music, stories or sacred text. What might you say to someone who has artistic gifts but doesn’t want to use them in a worldly way? Where would you send someone to go and get more training in the kind of thing you do? Here’s what I’ll do! I’ll answer your question and then add them to this page for others to read. You’ll be a part of our History too! Thanks for letting me tell you my story. If you are someone who uses our resources in your ministry, thanks for sharing and being “SALT AND LIGHT” to the world. Jeff Smith is Director of the Salt & Light Ministries based near Richmond, VA. After graduation from Indiana University of Pennsylvania in 1980, Jeff spent eight years as a commissioned officer in the U.S. Army. Besides various military awards and decorations, Jeff was selected Best Male Vocalist in Major Army Commands in 1982, 1983 and 1985. In 1985 and again in 1987, he was selected to tour with the All- Army Soldier’s Show that toured the US, Europe and the Far East. While stationed at FT Lee, VA, he held leads in “Joseph and the Amazing Technicolor Dreamcoat”, “King and I”, “Grease”, “Pippin”, and “I Do! I Do!”. In May of 1988, he resigned his commission to start Salt & Light Ministries. ​While getting his ministry started and working in the local church setting, he finished his Master’s Degree in Communications with an emphasis on Script and Screenwriting from Regent University in 1995. In 2010, he graduated from Liberty University with a Master of Arts degree in Worship Arts. Since then, Jeff has performed throughout the world as a featured performer and master teacher at local, state, and national training conferences and seminars in drama, worship arts, music ministry, teacher training, children’s ministry, and creative arts. In 1991, he was the Grand Prize Winner for Drama at the Christian Artist’s Seminar at Estes Park, Colorado, and was a finalist in the vocal categories from 1989 – 1991.His sketches have won international acclaim to include Best Comedy Sketch in 1999, Best Dramatic Sketch in 2000, and another Best Comedy Sketch in 2004 at the CITA Sketchwriting Contest. 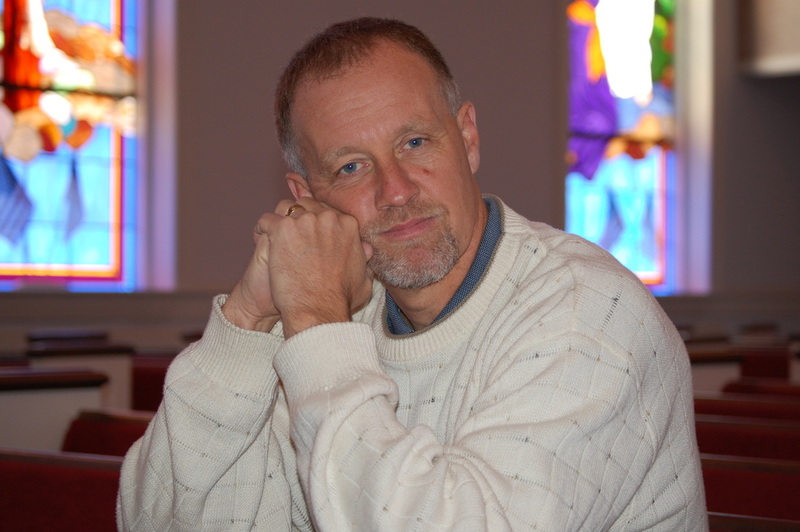 Although Salt and Light Ministries publishes many of his written works and he has self- produced a variety of CDs and other musical projects, many of his dramatic works have been published by Lillenas and Standard Publishing. Additionally, his series of training videos, “Movement for Non- Movers” have helped equipped teens and children all over the world to share the gospel through creative movement. Finally, in 2002, “Jeff Smith Ministries” was incorporated to help better organize the effort and ministry work that Jeff continues to do throughout the world. Jeff currently resides in Richmond, VA, with his wife Debbie. They have two grown sons, Benjamin, who married Alyssa Shelley in 2015. They now have a son named Koen. Our second son is Samuel. You can also visit our Facebook page at https://www.facebook.com/Salt-Light-Ministries.